In my work with the 1841 census, I have written before about the abbreviations used to record occupations. Today I found another unknown one, ‘F.C.’ which, from what I can glean looking at the original record, was unknown to the people who totaled up the census returns. The census was operated in two phases (at least). The enumerator went round all the houses and recorded the names and occupations of the people who resided there on the night of the 6th June. In Unst in 1841, the enumerator for district 1 was George Robertson, who was also the registrar. We know this because he signs the last page of the enumeration booklet (there were 9 enumeration districts and thus 9 booklets to cover Unst in 1841, each with a different enumerator, picked from the upstanding gentlemen of the community). I CERTIFY and declare that the Account of the Population of the District for which I am Enumerator, contained in this Schedule, has been truly and faithfully taken by me, and that, to the best of my knowledge and belief, the same is correct, so far as may be known. Witness my hand this seventh day of June 1841. Then in the next phase, the enumeration booklets were counted up, including occupations being totaled up. You can see the ‘workings’ of these counters as they go through the booklets, because they cross off the occupations as they count them. As genealogists this can sometimes be rather annoying if it obscures what was originally written by the enumerator! The occupations were normalised to aid in this counting, which is where, in later census years, the occupation codes come from. On this particular page of the Unst 1841 census, John Harper who is residing in Humron, is recorded by the enumerator as having an occupation of F.C. The counter clearly didn’t know what this was because it is not crossed out, suggesting it was not counted, and in the left hand side margin against this entry there is a cross and something scribbled in a different hand from the writing done by the enumerator. I cannot make out the writing, but I suspect the jist of it is to indicate an unknown occupation. The thing is, having spent quite some time now looking at the complete Unst Family Tree, I have grown very familiar with the occupations of the area. The most common male occupations recorded are ‘Fisherman’ and ‘Fisherman & Crofter’. I suspect that F.C. stands for ‘Fisherman & Crofter’. In 1841, this should have been recorded by the enumerator as ‘Fa & Fm’ – short for ‘Farmer & Fisherman’ – just as several others were recorded on the same page. Perhaps it had been a long night! While the period from 1851 onwards makes life easier for the Scottish family historian, trying to figure out how people fit together going further back than that is much harder. Census: In 1851, census returns include the relationship between the different people recorded in a house, in 1841 you just get the names. Birth Records: From 1855 the Statutory Birth records contain the names of both parents and their marriage date, whereas before that Old Parish Records only gave the father’s name. Marriage Records: From 1855 the Statutory Marriage records contain the names of both parents of each party marrying, as well as their residence and occupation, whereas before that Old Parish Records only give the names and residence of the marrying couple. Death Records: From 1855 the Statutory Death records include the age, residence, occupation, and parents names of the deceased, as well as sometimes another relative as the informant, whereas before that the few Old Parish Records that exist only give the name, age and residence. Working on my complete Unst Family Tree there are of course many times when I come across people of the same name and a similar age. When these people are living in the era before 1851 more care is needed. It seems likely from this that the four women are sisters and either Alexander or William are their father, and perhaps their mother has died. Following the four women through later census returns and eventually finding their death records, I find they are all children of Alexander Penant and Janet Sinclair. Knowing the name of his wife, I can now find that they were married on 25th January 1800 with Alexander from Littlegarth, and Janet from Uya. Now that I know the four women were daughters of Alexander, I can see from the 1851 census return that William is the brother of Alexander, as the four women are still living in Littlegarth with him and are listed as his nieces. Alexander is not living with them, and a little searching turns up his death in the Old Parish Records Obituary for 1849, recording that he died in Littlegarth. There’s another Alexander Penant also living in Unst at Savedale in the 1841 census. He lives there with a woman of the same age called Barbara. Likelihood is that this is his wife, and sure enough there is an Alexander Penant marrying a Barbara Christie on 29th May 1827 recording them both from Snabrough (nearby to Savedale where they lived after marrying). Clearly these two Alexander’s are not the same person, so we must take care not to confuse them. They are different ages too, Janet’s husband was born around 1765, whereas Barbara’s husband was born around 1780. 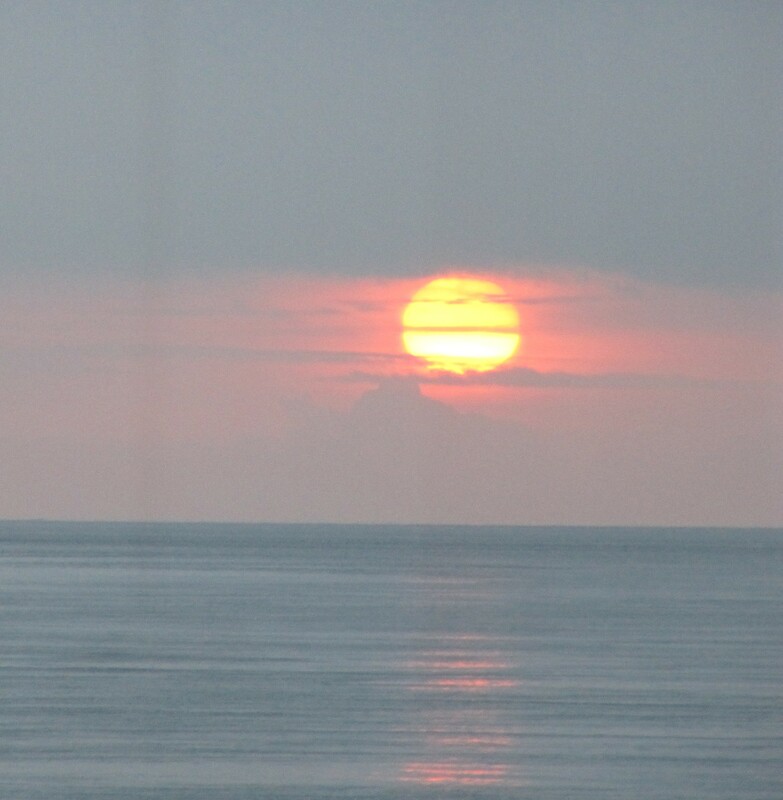 Searching for all the children born in Unst to father Alexander Penant, we end up with a list of 12 children (click on the diagram to see the list of children in FamilySearch.org). Their birth dates ranging from 1802 (just after Alexander married Janet) to 1819 (still before Alexander and Barbara were married). Their birth dates combined with the higher likelihood that children were born in wedlock, suggest that these are all the children of Alexander and Janet. Those that I have found death records for I have been able to verify both parents names. I’ve always known that one source on its own is not as compelling as a number of sources which all back each other up. However, I’ve just had that very strongly illustrated to me today as I processed a record for one gentleman who lived in Unst in the 1800s. As part of my complete Unst Family Tree, I’m gradually working my way through all the statutory records. The record today was a death record from 1855 – the year that statutory records began in Scotland (before that you had Old Parish Records which didn’t have as much detail in them). In 1855, statutory death records listed all the persons issue in order of birth – after 1855 they reworked the records, and no longer included this information. 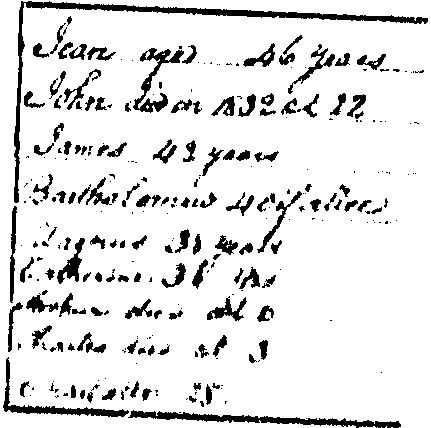 This particular record had nine children listed, but the scrawly handwriting combined with a slightly faded image made them somewhat difficult to read (I’ve written about problems reading old handwriting before). Before I processed his death record, I only knew of two of his children, James and Charlotte, because they are living with him in 1841 – although given the way 1841 census records were taken, their relationship was only a guess. Rather than making me disheartened that I couldn’t discover all the children, the quality of the record instead just made me more determined to figure out the children’s names. In building my tree I make use of all sorts of records. I like to back everything up by seeing the actual records (or photos of them) and not just rely on transcriptions others have made, but some of these online transcriptions are extremely useful for searching. One online resource I use https://familysearch.org/hr/search, allows you to search for records based on parentage, so my first step in solving this one was to go there. I can just about read from the scrawly handwriting that the ages of the children in 1855 range from 46 to perhaps 25. I also remember that in Old Parish Birth and Baptism Records, generally only the father was recorded and not the mother, and I will hazard a guess that they were all born in Unst, since their father has lived in Quoyhouse, Unst for 48 years according to his death record. This search resulted in 12 children, but I know I’m only looking for nine of them, so clearly there is more than one Eramus Bruce living in Unst at the time. From the ages in the scrawl and this search I am able to pick out the children of this Erasmus, and then as a final check, I also find a number of these children’s own death records to double check their parents are Eramus Bruce and his wife Catherine Arthur. There are definitely a number of “So that’s what that scrawl says”, thoughts going through my head, as I pick out the most likely birth dates from the search results of children. Here’s the final set of all nine children. Could you tell that this is what the scrawl above said? Me neither! In my day job as a software engineer I live in a world of abbreviations, HTTP, SSL, TCP, FTP, HTML, BPM, XML, DNS. So therefore I should be happy working with abbreviations that I see in the 1841 census records. In later census returns, occupations were written out in full by the enumerators, but in 1841 they were instructed to use abbreviations and provided with an official list in the front pages of the enumerator booklets. However, other abbreviations are seen which were not provided in their official list. 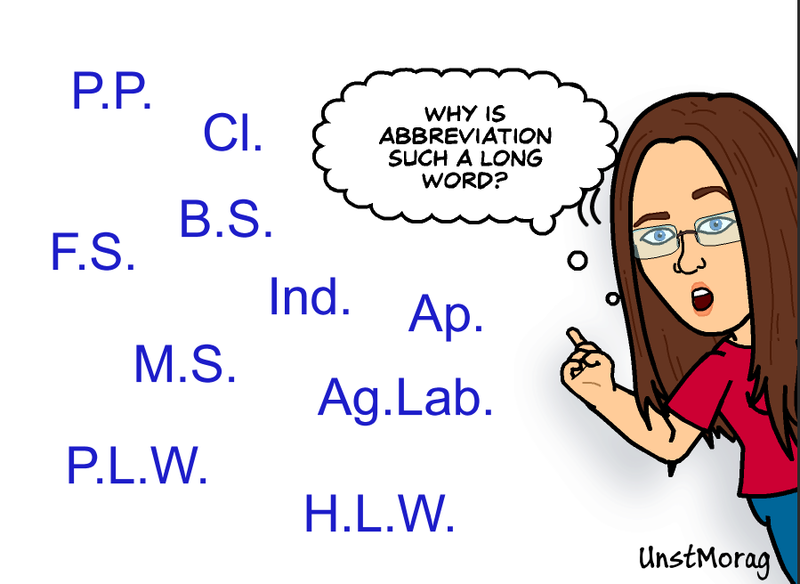 There are a number of lists online of what these abbreviations mean, but no one complete list so I thought I’d try to create one here, recording also where I’ve found the meaning of the abbreviations. Please feel free to send me others that I may have missed. From what I’ve seen, I’m guessing these three sisters were Paupers, and in one case a Parish Pauper. If you’ve been using the census returns to follow your family tree back through the years, you may have noticed that the 1841 census returns don’t often show up as hints (a term used on the Ancestry website for showing possible records that may match a person in your tree). The 1841 census is a bit different to all the subsequent census returns; recorded ages are rounded down to the nearest 5 years for anyone over 15 years of age; birthplaces were recorded as being in the county, rather than giving parish details as in later census; and it does not record the relationships between people in the same household. So for my Complete Unst Family Tree project all those people who were born on the island of Unst (marked on the map below) are recorded as being born in “Orkney and Shetland”, i.e. the full area covered by the map below! Just a slight difference. There is however, a certain pattern that can be recognised in an 1841 census return which is useful, especially when you already know a lot about the members of the household from subsequent census returns. You can spot the parents and children from the ages; parents will be listed first and then the children in age descending order – sometimes with the male children listed first followed by the female children. The hard part comes at the end of the record for each household where a random selection of others may be listed; servants – usually identifiable as such from an occupation of “FS” (female servant) or “MS” (male servant); unmarried aunts; aged parents, and other random relations. Your only hope with these is that, if they are staying with the family in 1841, that it won’t be the only time. So it really pays to fully understand the family and it’s close relations, before trying to apply an 1841 census return to them. They are worth searching for though (and you will most likely have to search explicitly for them due to the age and birthplace differences) as often they will provide details of older children that have moved out and got married by the next census, which is invaluable with linking together these early records, especially when Old Parish Marriage Records don’t record parents of the marrying parties. My advice? Leave the 1841 census till last, but don’t ignore it completely.